A most unique and interesting fire station. The living area, bunk rooms, kitchen, etc. 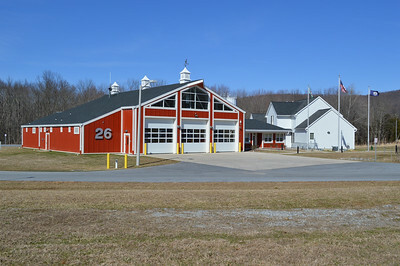 is a house modified for the crew at Station 26. A larger garage was built to house an engine, tanker, ambulance, and several other units. Photographed in April of 2015. 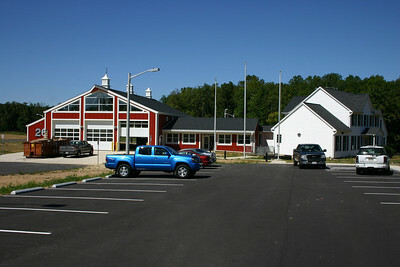 This is the new Fire Station 26, Loudoun Heights when photographed in September of 2013 and still under construction. When completed, it will replace Fire Station 16 in Neersville. The house was purchased by the county and a nice garage built. 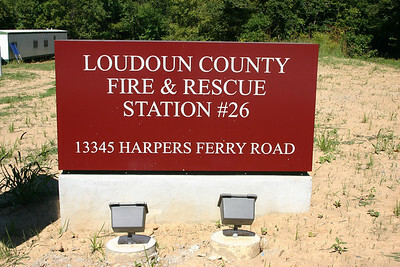 Station sign for the new Fire Station 26 in Loudoun Heights. Photographed in September of 2013. Engine 626 is a 2015 Pierce Arrow XT, equipped with a 1500/750/50, SN: 28035-02. This is the County's first Paramedic engine company. A twin engine is in service as E604. 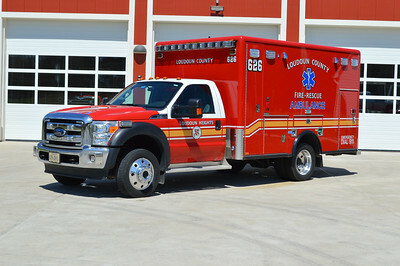 Loudoun County's first paramedic engine company runs as Engine 626 in Loudoun Heights. 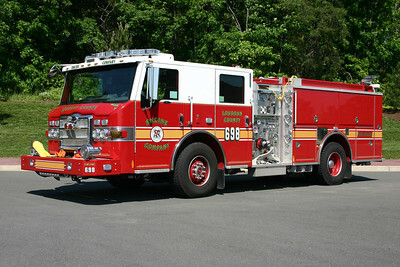 Engine 626 is a 2010 Pierce Impel 1500/750. It was originally delivered to the county as Reserve Engine 698. After being modified as a paramedic engine by the fire department shops, it was transferred to Station 26 in April of 2015. 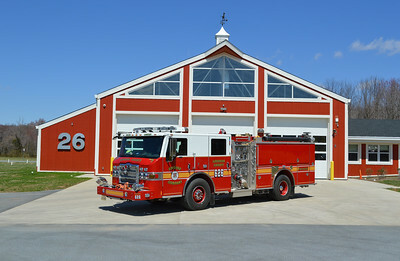 Loudoun County's first paramedic engine (Engine 626 - a 2010 Pierce Impel) photographed in front of the newer Fire Station 26 in Loudoun Heights April of 2015. 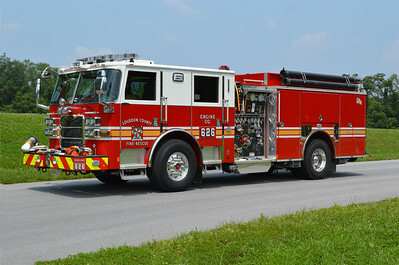 Engine 698 was originally a county wide reserve engine and is a 2010 Pierce Impel 1500/750. It is now Engine 526B in Loudoun Heights. 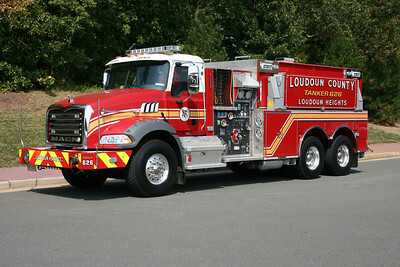 The first official truck for the Loudoun Heights Station is Tanker 626, a 2012 Mack Granite/2013 Pierce 1500/3000. 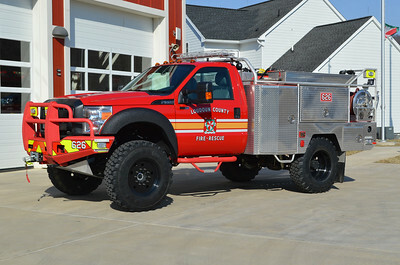 Loudoun County ordered two of these tankers, with the other going to Station 12 in Lovettsville. This photograph was taken shortly after delivery at the Ashburn county shops prior to the tanker entering service. Delivered in September of 2013, it will go into service when the new Station 26 opens in 2014. 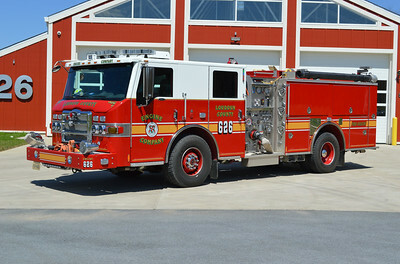 Brush 626 from Loudoun Heights was placed into service in late 2015. It is a 2015 Ford F550 and built by Skeeter (Texas). It is equipped with a 240/250/10. 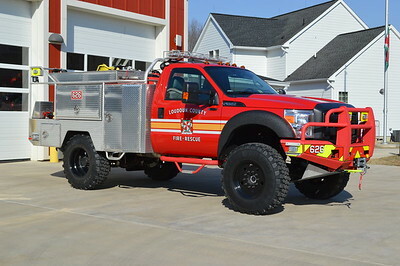 The truck has a 6 inch lift kit and is also the first county purchased brush truck in Loudoun County. 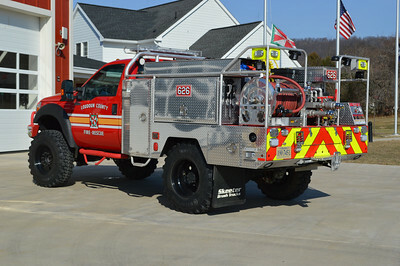 A rear view of Brush 626. 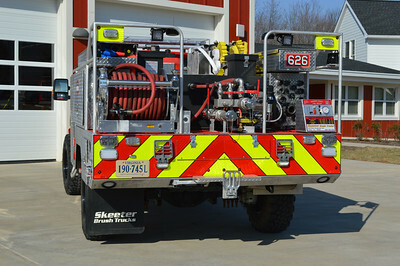 Close up view of the rear of Brush 626. Ambulance 626 from the Loudoun Heights station is this 2013 Ford F450/Horton ambulance. Photographed in April of 2015.